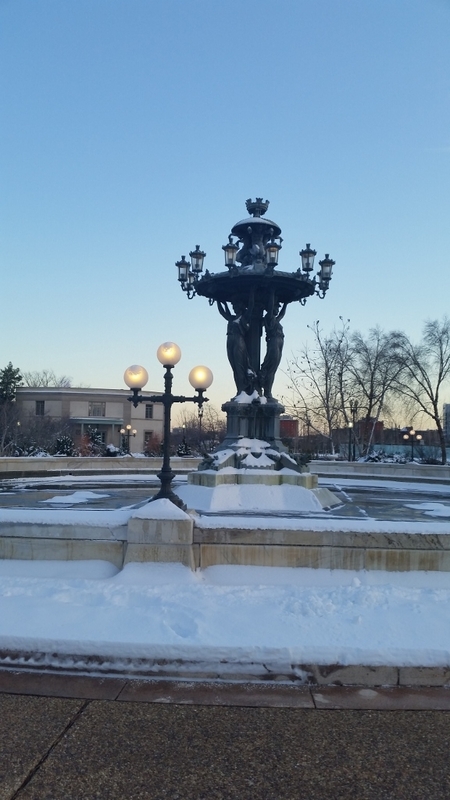 Bartholdi‘s Renaissance-style fountain of cast iron was first exhibited at the International Centennial Exhibition in Philadelphia in 1876. Congress bought it a year later for $6,000. 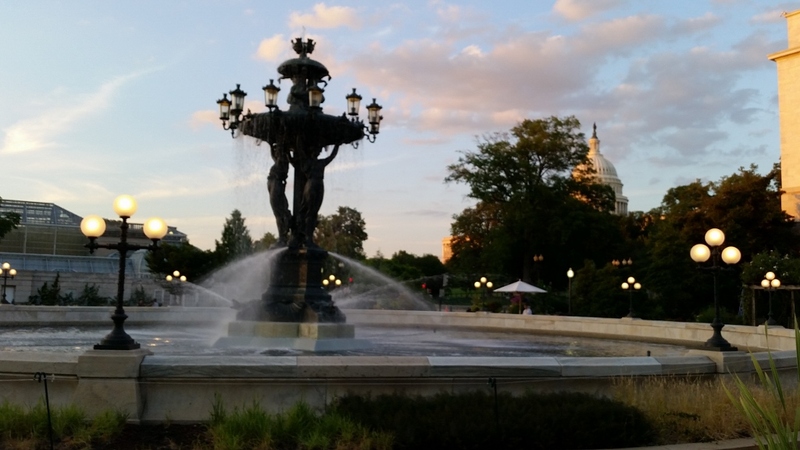 Its first location was at the base of Capitol Hill to the south of where the Grant Memorial is located. Later it was removed and stored. 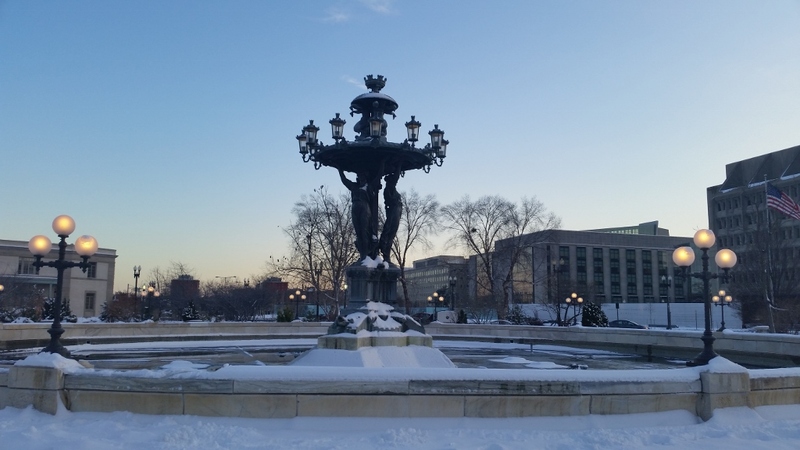 And in 1932 the 30-foot-tall sculpture was moved to its current location near the U.S. Botanic Garden, which operates Bartholdi Park. The sculptor, Frederick Auguste Bartholdi, also created the Statue of Liberty in New York City. 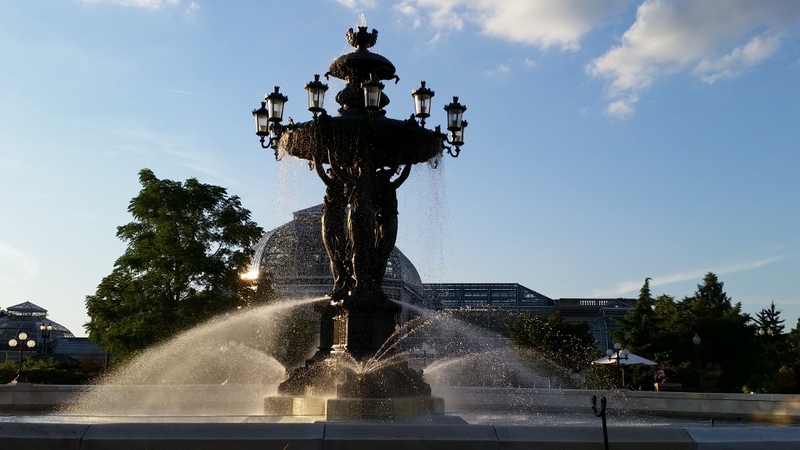 The fountain was made for the centennial exposition at Philadelphia in 1876. 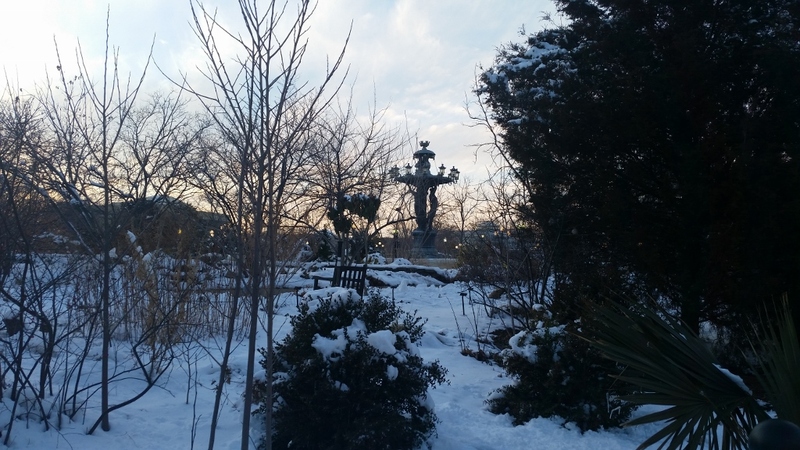 After the close of the exposition it was brought to this city and erected in its present site in the Botanic Garden, just north of the conservatory.